Thinking about climbing the PADI ladder? Made up your mind to becoming a PADI Professional? You just finished your dive master course and now you’re ready for the next step to becoming a PADI instructor. Being a PADI instructor is not a job but a “lifestyle”. There are hundreds of reasons why you want to live the “lifestyle”, the love and excitement for the underwater world, the travel opportunities, meeting new friends from different cultures, you name it, the list is endless. Now the most important part of this decision is where to take the course. The IDC is organized in small groups with a lot of personal attention. The main language is English, but you can do your presentations in either, Spanish, Dutch or German. The confined and open water sessions are in walking distance and our crew will help you with logistics of your gear which can be stored in the dive center. As a PADI instructor you will be able to conduct the entire PADI program from Discover Scuba Diving through Divemaster. The IDC will be a 10 to 12 day program to give each student enough time to master their materials. Before the IDC we will have a counseling/preparation class for those who are interested and this is free of charge. All this is in a full airconditioned classroom above the dive center. Once you are ready we go to the IE where our in-house PADI Course Director will be there for moral support. Costa Rica is a beautiful country in Central America and offers many things to do. There are so many national parks with various wildlife to admire, volcano trips, zip lining through the jungle, wild water rafting, and much more. Rich Coast Diving is located in Playas del Coco, very central and close to many national parks. Coco is a small fishing village which is full with divers who enjoy the night life and restaurants at night. Ready for the “life style”? 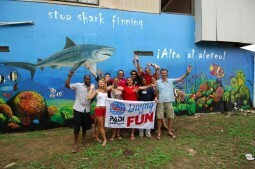 Become a PADI PRO and join Rich Coast Diving in the IDC. We can also help you to find accommodation for reasonable price.